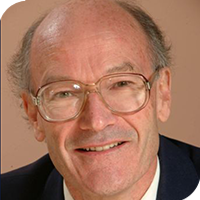 "Climate Change: Certainties, Risks and Opportunities"
Paul Ekins' academic work focuses on the conditions and policies for achieving an environmentally sustainable economy. He is an authority on a number of areas of energy-environment-economy (E3) interaction and environmental policy. Paul has written or edited twelve books, the most recent of which is Global Energy: Issues, Potentials and Policy Implications. Paul is a member of the UCL-Lancet Commission on Global Health and Climate Change and of the International Resource Panel (IRP) of the United Nations Environment Programme (UNEP). He is also the lead researcher on a project on Climate Change and Food Security funded by the Grantham Foundation and is one of two Chief Co-Editors of UNEP’s sixth Global Environmental Outlook (GEO-6), the United Nations’ flagship environmental report, which will be presented to the United Nations Environment Assembly in 2019. In the UK New Year’s Honours List for 2015 he received an OBE for services to environmental policy.